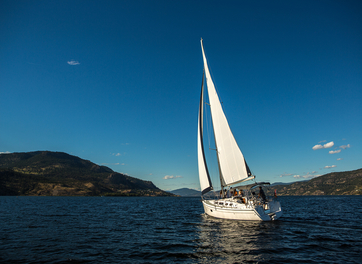 Okanagan Yacht Tour. The THREEEEEEEE Hour Tour. Experience a glimpse of the “yacht life”. Once on board you will immediately have a great view of downtown Kelowna, the R.B. Bennett Bridge, West Kelowna, Knox mountain and even as far as Traders Cove to the North, and The Hotel Eldorado south of the bridge. We promise to stay clear of any deserted islands on this tour. We will be boarding at one of the public docks downtown Kelowna and will instruct as to where exactly you will be boarding after your reservation is complete.